I love the beach. I love vacation. 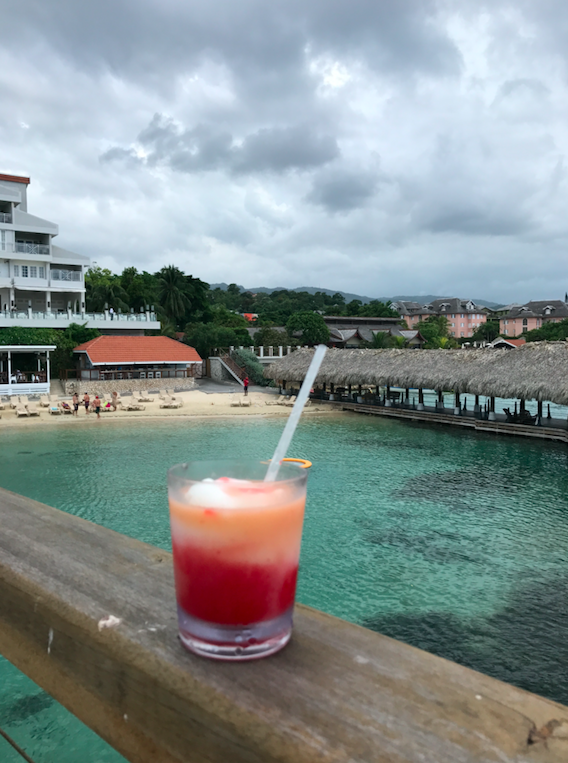 When you combine the two with an all-inclusive resort in beautiful Ocho Rios, Jamaica, you pretty much have found paradise. 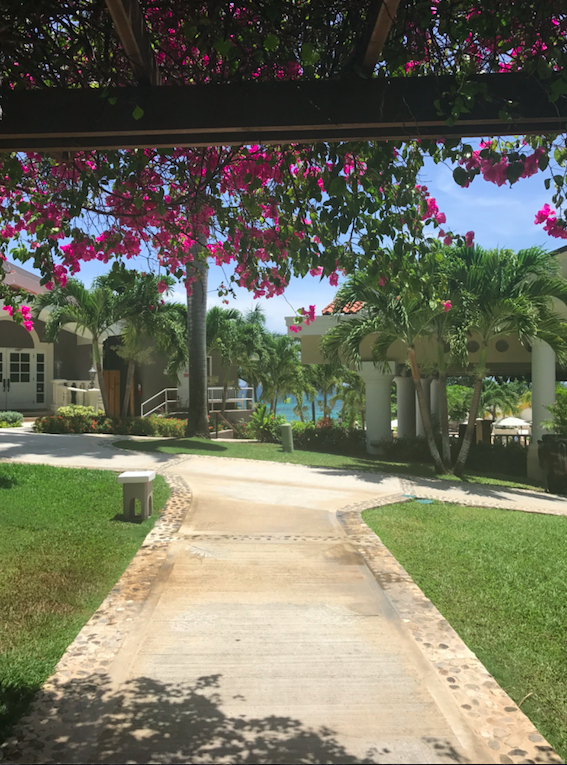 This is not the first time we have stayed at a Sandals resort and I promise you it will not be the last! 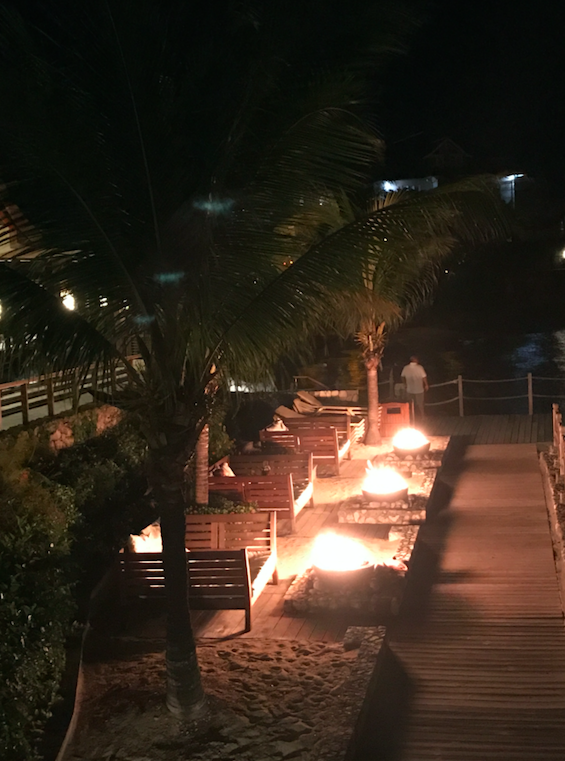 In case you missed my post about our honeymoon in the Bahamas at Sandals Royal Bahamian, check it out here! 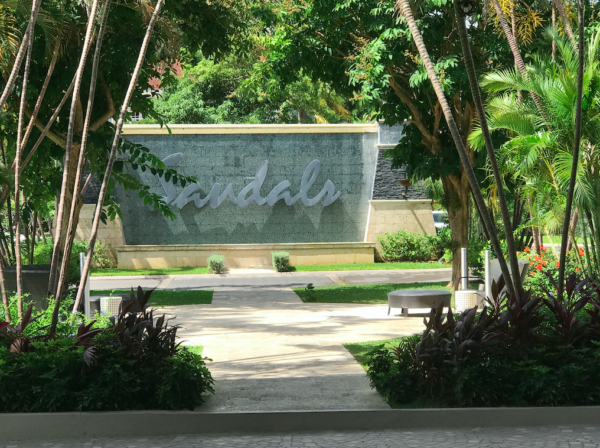 We had such an amazing time with Sandals for our honeymoon; we decided there really wasn’t a better way to celebrate our first anniversary than in a different country at a different Sandals resort! 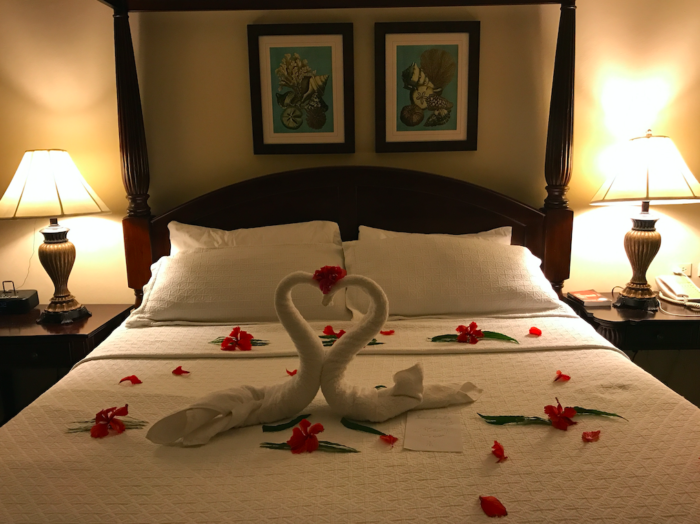 Two of our friends were married a few months before us and they stayed at Sandals Ochi for their honeymoon and absolutely loved it! My parents have also vacationed in Ocho Rios on two different occasions and they absolutely loved the culture and the beautiful scenery! So, our decision to celebrate our first wedding anniversary in Jamaica was a no-brainer and we are oh so happy we did! 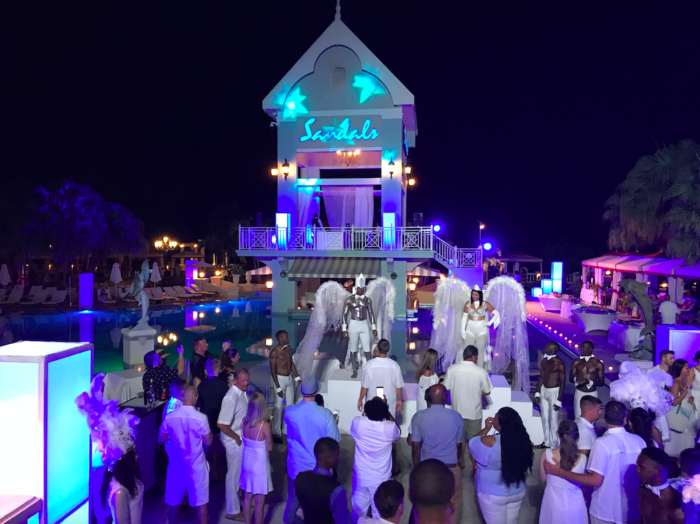 Let me start by saying Sandals Ochi is HUGE and gives you the best of both worlds. 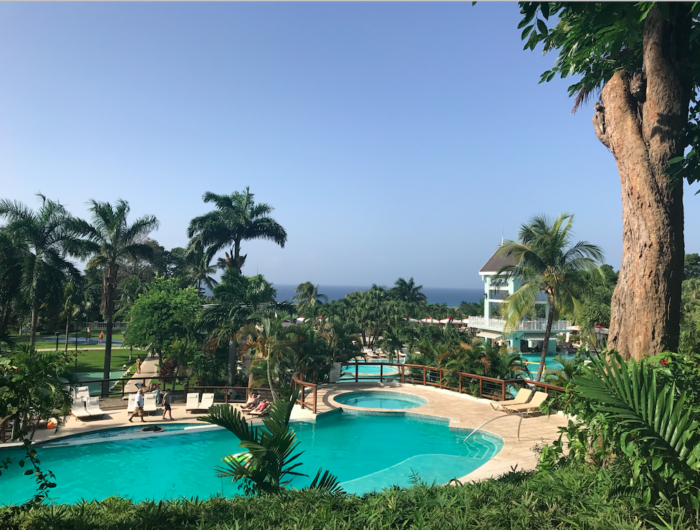 There are two parts to the resort; the hillside, which makes you feel like you are in the middle of a beautiful rainforest, and the ocean side with crystal clear water. We decided to book a butler village suite on the hillside. It is a one-bedroom suite with a semi-private pool and a butler. Yes, a BUTLER! I’ll be honest, we were both a little hesitant at the idea, but we decided you only celebrate your 1st wedding anniversary once, so why not? 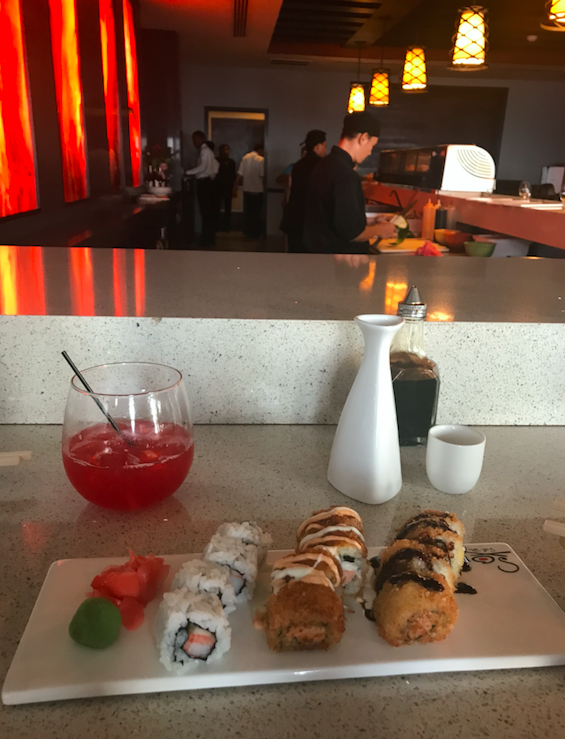 When we booked, they had us fill out a questionnaire with our preferences for our stay; our favorite food, drinks, allergies, etc. 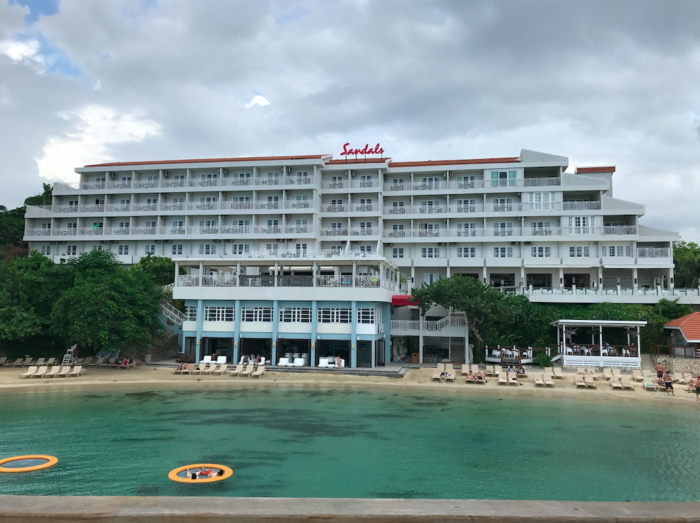 The closest airport is in Montego Bay, so it was about a 2-hour drive from the airport, but it is totally worth it and Sandals makes sure you are comfortable from the moment you get through customs! We immediately stepped into a Sandals lounge where they take your luggage and offer you a drink and snack while you wait to leave. From there, you take a Sandals chartered bus to the resort. It was so organized and we felt instantly taken care of. Once we arrived at the resort, we were greeted with a cool towel and a delicious cocktail! One of our butlers, (we had 2!) met us in the butlers’ lounge and drove us on a private golf cart to our beautiful suite! 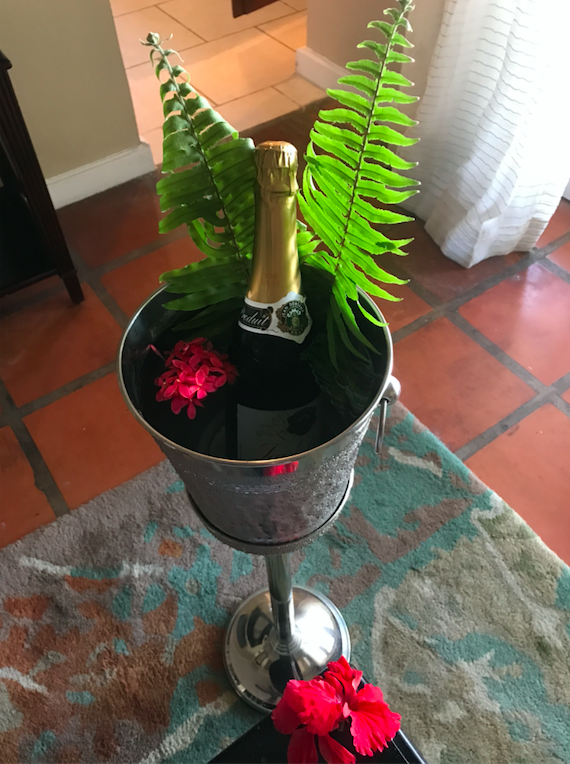 We were given a cell phone to call our butlers at any time and they had already chilled a bottle of champagne, prepared a snack plate, and covered our bed in rose petals with a beautiful anniversary card. The view from our pool and back patio was absolutely stunning! As much as I loved the view, I did really wish we were on the beach. 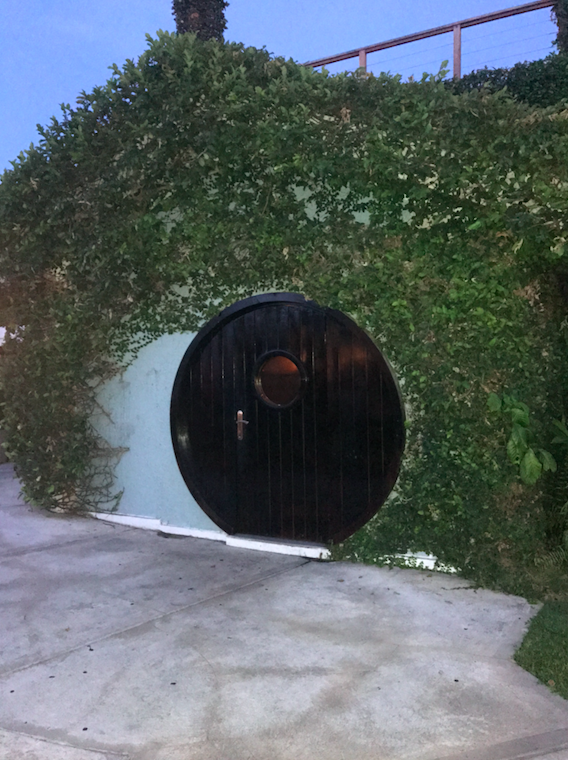 When I booked, I didn’t realize how far the butler villas were from the beach. Like I mentioned before, there is the hillside of the resort and the ocean side. 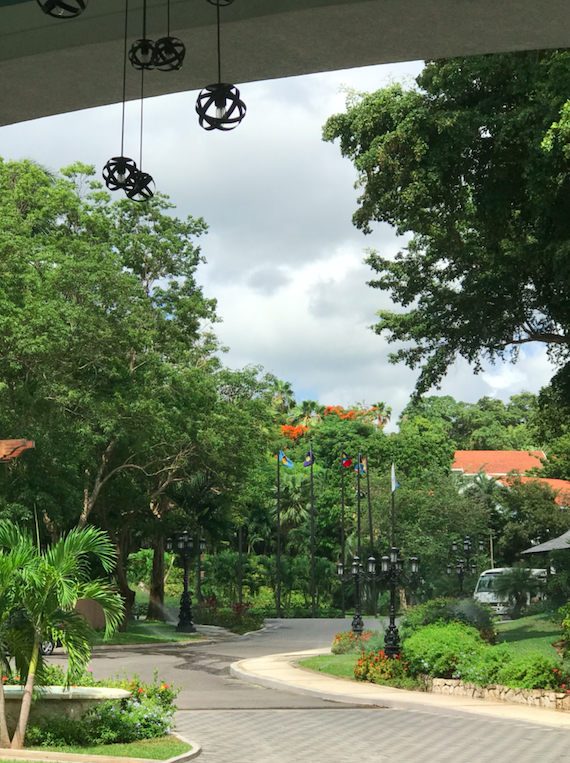 While it is still one resort, you do either have to have your butler drive you from hillside to ocean side or take one of their very convenient shuttles that runs every 10 minutes. While I LOVED the beauty of hillside, I really wanted to be on the beach. As much as I hated to cause any issues, I thought, it never hurts to ask! So, we asked our sweet butlers if there was ANY way we could move to the ocean side. Amazingly enough, our butlers and Sandals made it happen instantly! They told us to go to the pool, have a drink, and they would come and get us when our stuff was settled in on the ocean side. We were STUNNED! They were so accommodating and completely understood the confusion when we were booking. This was hands down the best customer service experience EVER! 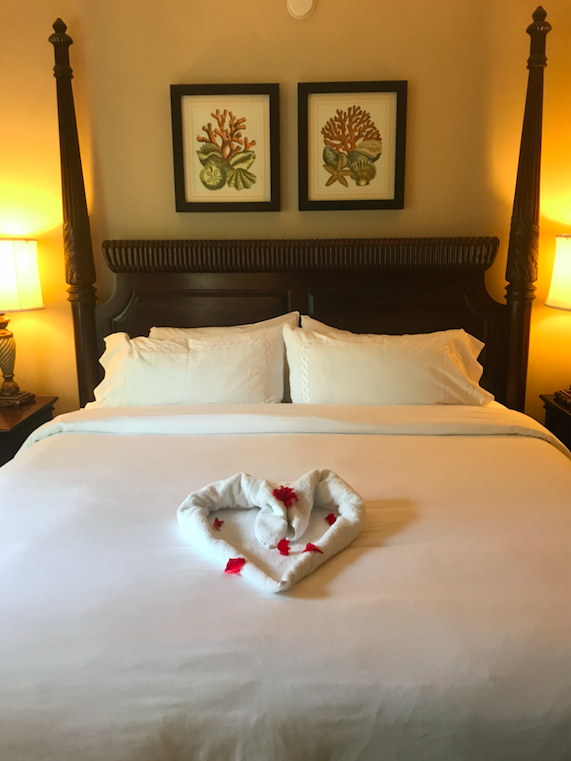 The rooms are beautiful and have every convenience and want you could possibly think of; including a full mini bar with alcohol that is stocked daily. The bed was so comfortable and there was plenty of room to store all of your belongings. The room also had an AMAZING air conditioner. Trust me, you will be so thankful for this! Room service was absolutely delicious and our butlers always had a sweet note, flowers, and new towel animal on our bed when we came back to the room each night. 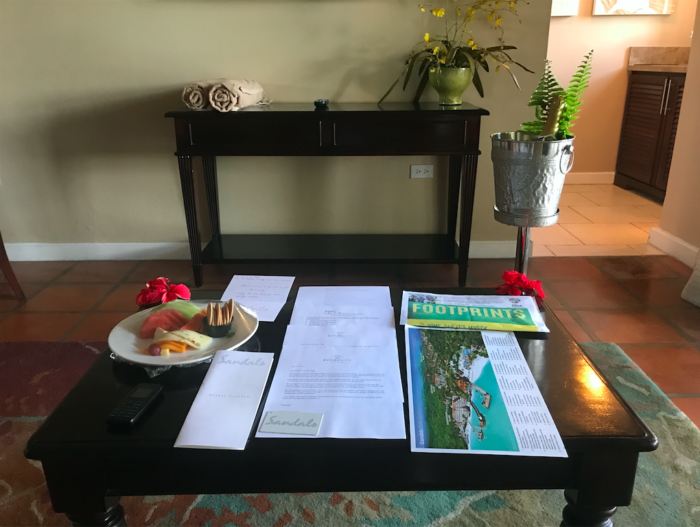 The resort also offers a daily newspaper called Footprints that gives you a full itinerary of events for that day and specific information on all of the restaurants including dress code and their hours for the day. We LOVED our butlers. They were so so thoughtful and quickly learned our favorite things. 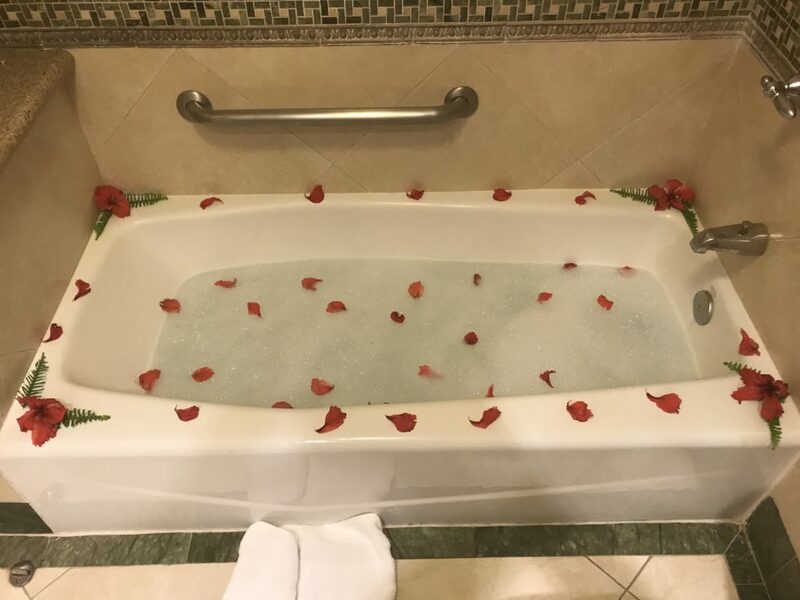 We would come back to our room with a hot bubble bath with rose petals and champagne, a fresh fruit and cheese plate to enjoy before our dinner reservations, and the sweetest notes! One morning, we had an excursion booked, so one of our butlers brought us smoothies and breakfast in bed before our excursion to make sure we had plenty of energy! They made all of our dinner reservations for us, escorted us to dinner, and would always have the best tables reserved covered in candles and flowers. They really made our week perfect. If we were out on the beach, they would call and ask if they could bring us lunch or a cocktail. We seriously lived like kings and queens. 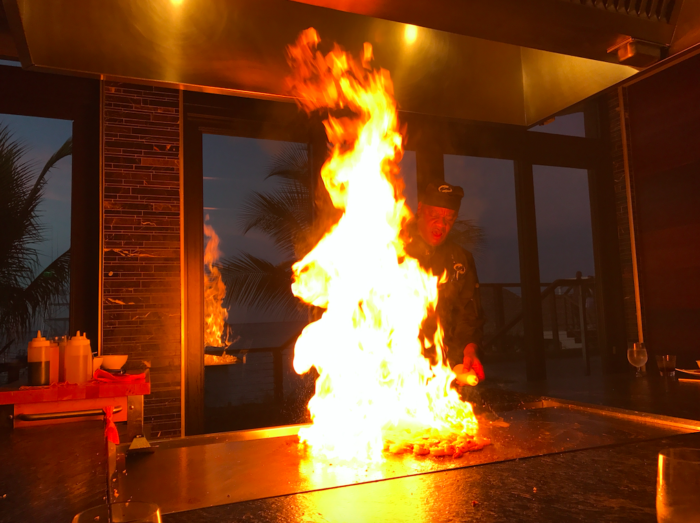 There are a total of 16 restaurants and 11 bars throughout the resort and they are all amazing! I will admit, there were a couple of occasions where we had our first dinner at 5 and then a second dinner at 9. One night, the hubs couldn’t decide which entre he wanted for dinner, so our waiter suggested he order both. We both laughed and he said, I’m serious! So we ordered both. There are so many snack shacks, pizza parlors, and bars all over for a quick snack or cocktail. One of the pools has a brick oven pizza place by the bar. We would order a pizza, hop in the pool and grab a drink at the swim-up bar while we waited for our pizza. Once it was ready, they would deliver it to us in the pool and we could just eat it on a pool float! Oh, I would also like to recommend you order a Bob Marley and a Miami Vice during your visit. 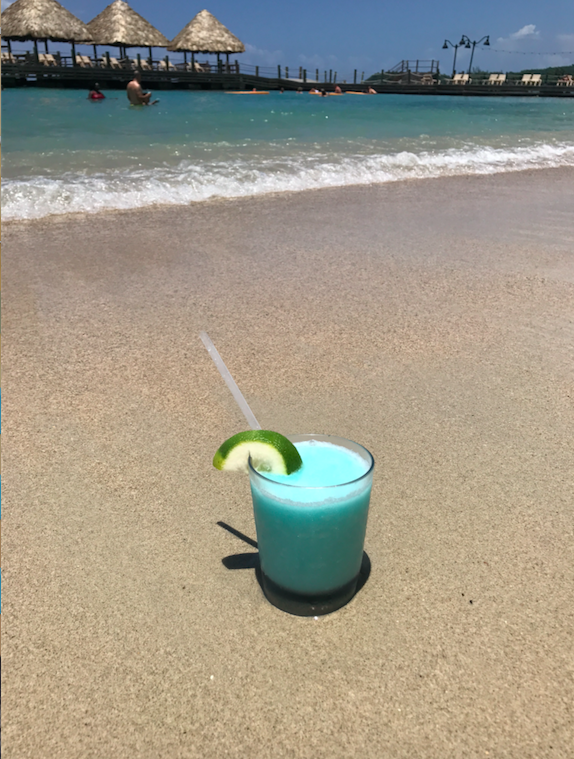 Oh, and a Blue Hawaiian! Those are all oh so yummy! 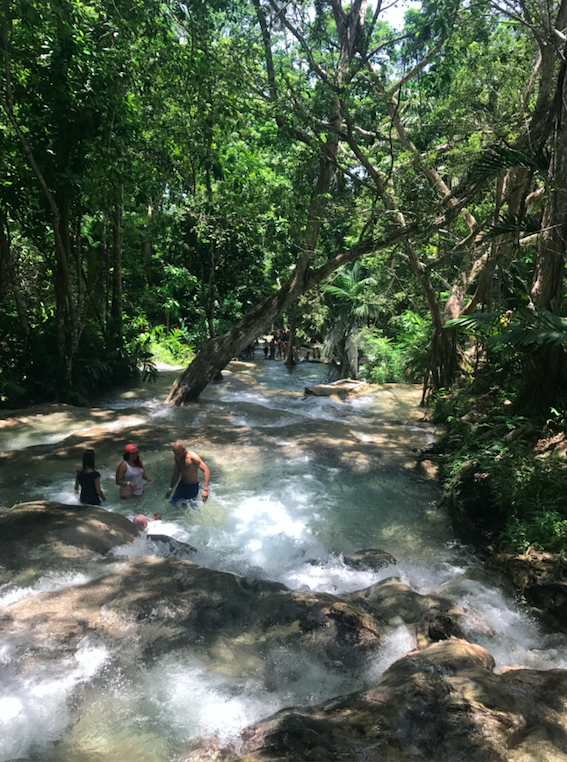 We hiked up Dunn’s River Falls! 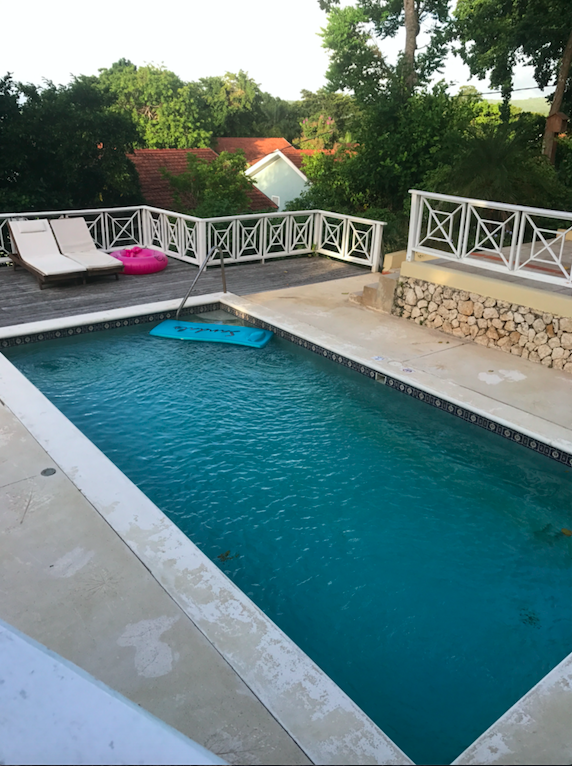 While we were in Jamaica we booked two excursions through Sandals, Blue Hole and Dunn’s River Falls. Sandals has an excursions desk and the staff is wonderful with helping you arrange the perfect excursion. They just add it to your room and you pay at the end of your trip. 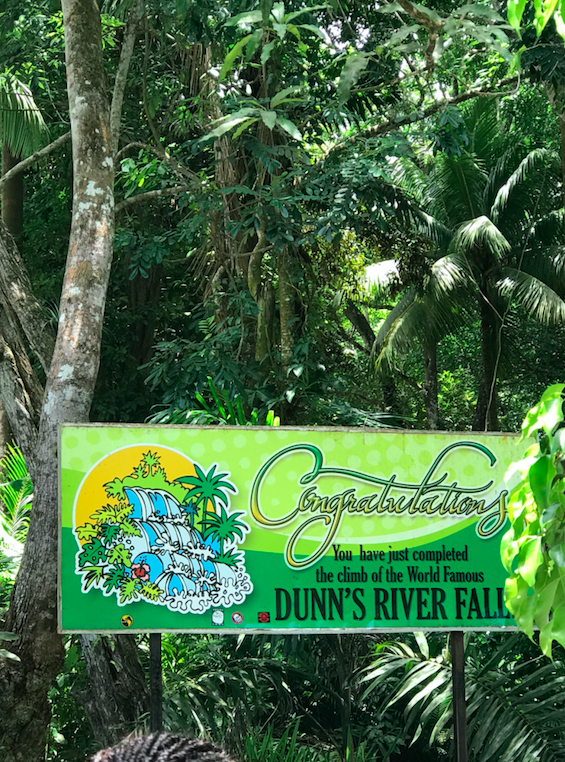 My parents had done the Dunn’s River Falls excursion on their last trip to Jamaica and said it was a once in a lifetime opportunity and it really was! Basically, you along with a group and your guide hike up a waterfall! It was absolutely amazing! While it was challenging, these guides know what they are doing! We saw kids as young as 5 to grandmas and grandpas hiking up. It was absolutely amazing! I HIGHLY recommend! We also did the Blue Hole excursion and went tubing down the river through the beautiful jungle. There really is no possible way to describe Blue Hole and give it complete justice. You start the journey by hiking up little waterfalls and jumping into Jamaica’s beautiful blue holes in the Jamaican jungle! The water is crystal clear and the views are just breathtaking. I believe the highest jump we did was 20 feet, but that was optional. However, we did the jump and it was AMAZING and I highly recommend it! *Note: I would highly recommend doing an excursion through Sandals. 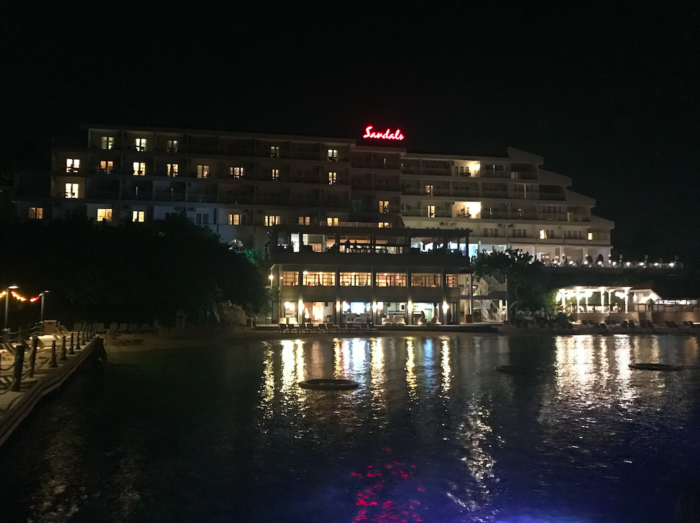 We felt safe the entire time we were in Jamaica, but we were advised to stick with the resort. They had a lot of security and our drivers always stayed with us for every excursion. Also, if you are afraid of heights, I do not recommend either excursion above. 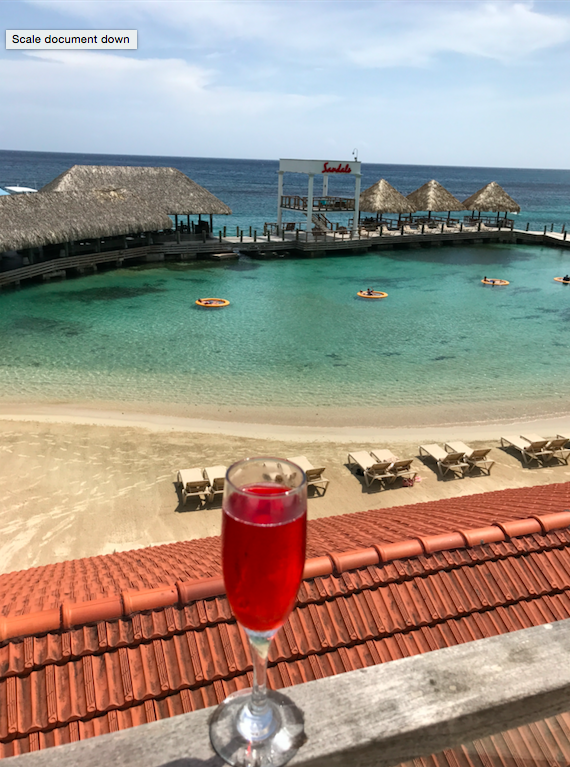 Sandals Ochi has everything in the world. Their entertainment department is absolutely amazing! 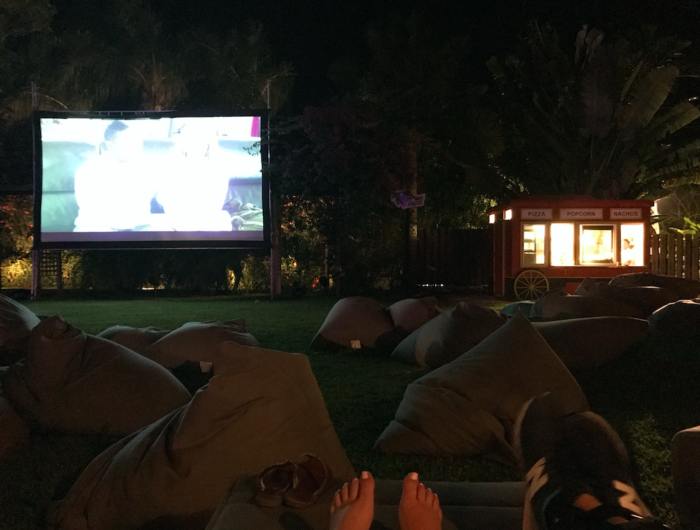 They had a different show every night, themed parties like a chocolate party by their hillside pool with the most delicious chocolate bar and the coolest performances, they had movie nights on the lawn with giant beds, popcorn, drinks and a fun romantic comedy. They also have The Rabbit Hole which is a speakeasy with amazing performances and a fabulous piano bar! Their entertainment crew for the beach and the pools are so fun and constantly have games and contests for those who want something to do. 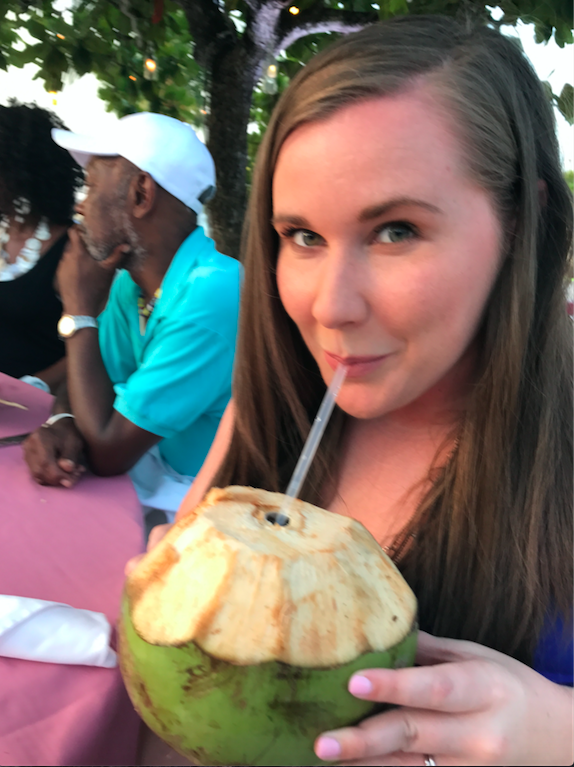 Coconut Cocktail at the Beach Party! Movie night on the lawn! The spa is also amazing! I had a 90-minute massage and a foot scrub and massage and it was heavenly! You can also arrange private massages on the beach or in a cabana over the water. It is so relaxing. They also have an activities center where you can check out paddleboards, kayaks, canoes, snorkeling equipment, and more water excursions! They also have a shipwreck snorkeling excursion that is only $25 per person! 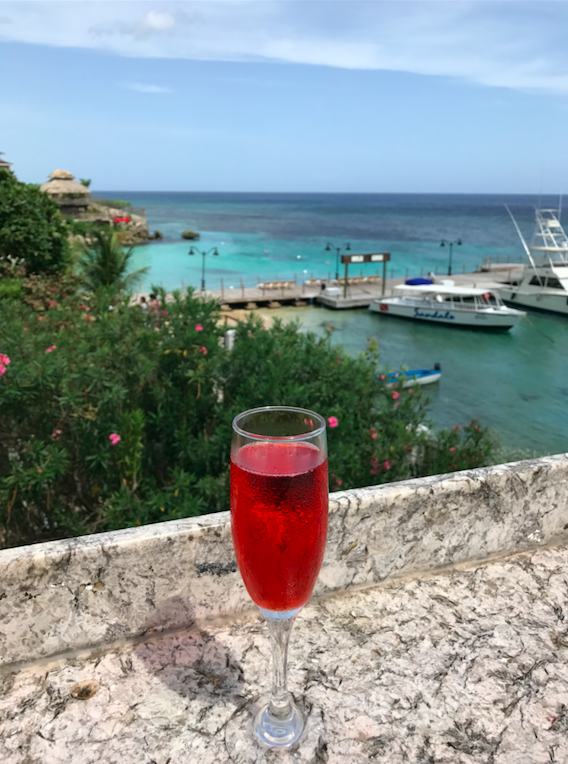 One of the best things about selecting an all-inclusive resort is not having to worry about spending a dime while you are there! Everything is included; well for the most part of course. They will ask for a credit card when you check-in where they will put a hold of $250. This will also be used if you decided to book any excursions, purchase things at the gift shop, or book a spa appointment during your stay. Once you arrive, I highly recommed take a tour of the resort. They will go over everything you need to know to have the best possible trip. My husband had a hard time with this during our first Sandals visit. He kept trying to tip the gentlemen who helped us with our bags and he politely told him that he was not allowed to accept the tip. Sandals doesn’t allow tipping at all, so that is one thing you don’t need to worry about. However, if you do decide to have a butler’s package, they do allow you to tip your butler at the end of your stay since they do so much more. We tipped both of ours as we were checking out. 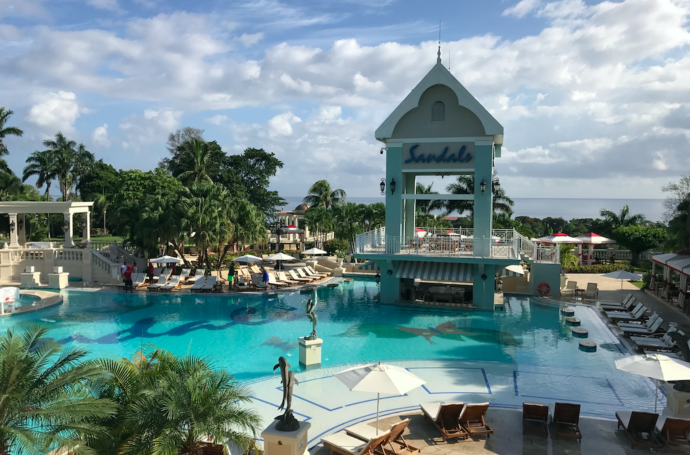 In case you couldn’t tell, we absolutely loved our entire stay with Sandals and we have already booked our next trip with Sandals in another tropical location! I can’t wait to share our next adventure with you! Have you been to Jamaica or stayed with Sandals before? I would love to hear about your trip!